I have tried all types of mask before from leave on , wash off, peel off, scrub and sheet mask. 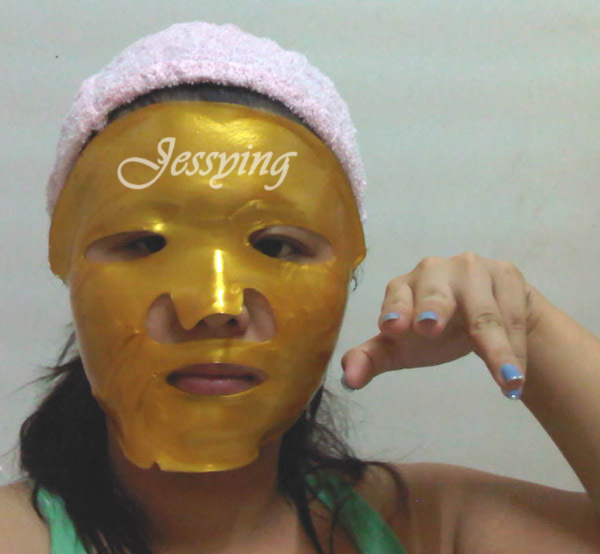 So when I was approached to ask to try gel mask, what more it is a GOLD gel mask! I took up the offer and see what it is all about. 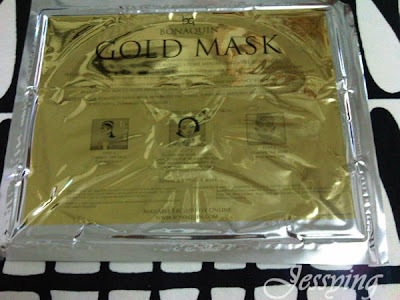 This Bonaquin Gold Mask according to their website is a fourfold facial treatment as it gives whitening, moisturizing, pore minimizing and oil control. 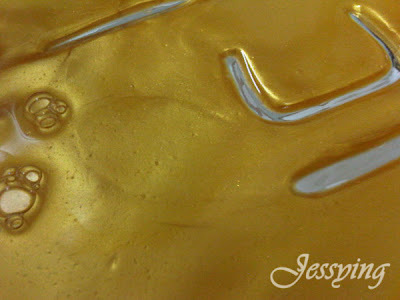 Look there is Gold Powder in it! It states that this Bonaquin Gold Mask is made from Natural extracts and collagen which offers up to 10 times higher absorption rate than any other ordinary facial mask. 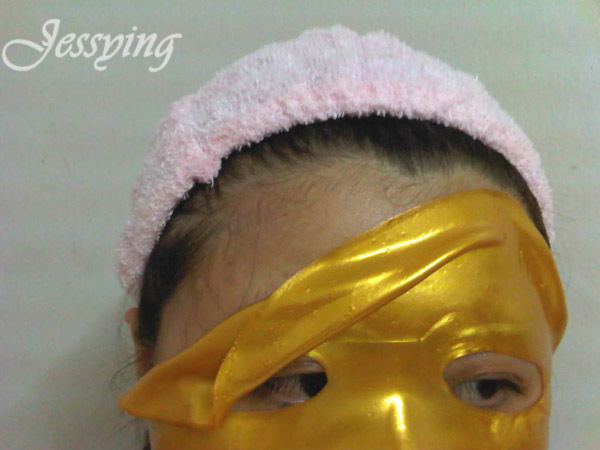 After cleansing, apply mask evenly to the face. Leave mask on for twenty minutes before removing. Lightly massage the remaining mask fluids into the skin until completely absorbed. p/s: Hope this picture don't scare my readers away!!!! I do not know why I pose like that..-.-! However after a while the mask falls off.. because I was busy blogging here.. so word of advice don’t move/shake/jump around when you are putting on this mask. So after 30 minutes of waiting time, I removed the mask and looked into the mirror… I found my face looking glowingggggg.. just like my palm above.. 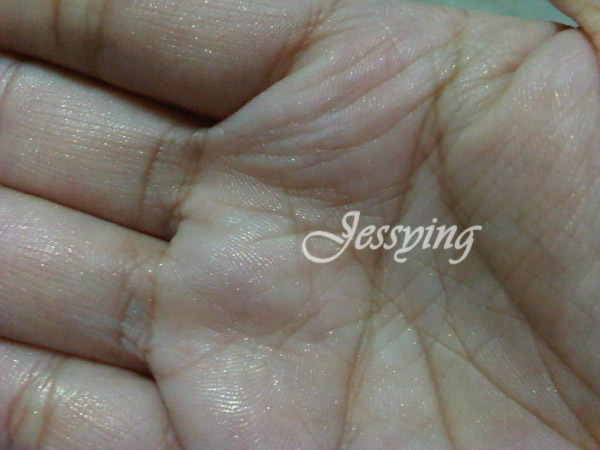 I guess must be from gold dust from the mask..
My verdict: I do feel my face cooling & hydrated, however did not feel my face was brighten after application. p/s: Don’t forget to wash off the face after putting on the mask! So I am keeping this pile of the Gold Mask praying that it will turn into Gold bar anytime soon! 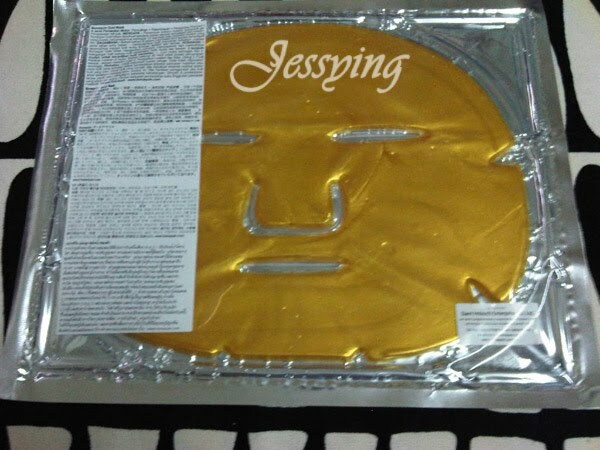 The mask is being sold at RM10 per piece at their website. 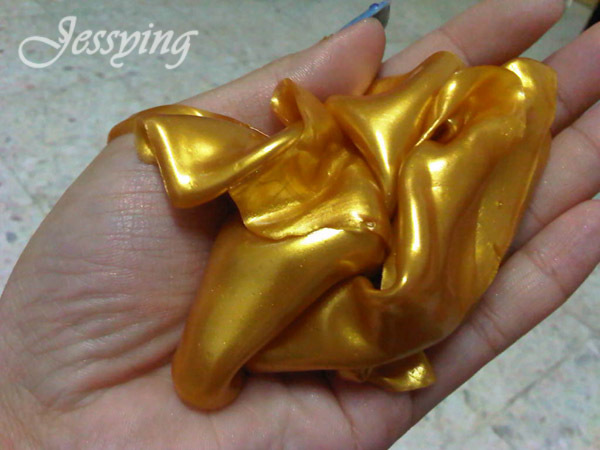 So if you are interested to pamper yourself with some gold on your face, click Zetafera website to find out.